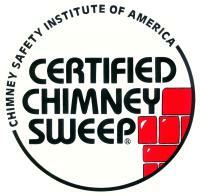 For homeowners the chimney is one of the most neglected features of the home. Many homes, especially in the Buffalo area, have a chimney that has been around for quite awhile and because of neglect, water is starting to enter the home through the chimney. 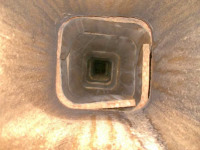 Here are the top reasons that water is able to penetrate the chimney and into the home. Many homes are lined with terra cotta flue tiles that are in place to act as the passage way for all products of combustion from wood burning fireplace, water heater, furnace and/or boiler heating system. After time, the terra cotta tiles breakdown from the resident moisture in the chimney going through freeze/thaw cycles and sulfuric acid given off from gas appliances. 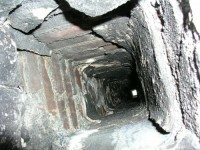 This breakdown allows for water to enter the chimney and into the home. The chimney crown is the cement structure on top of the chimney. The bricks go up around the tile flue liners, but at the top you need something to stop the rain and snow from just falling in around the tiles. You can see that the very purpose of the chimney crown is to keep rain out. Cracks in the chimney crown can occur from shifting of the structure or from shrinkage dating back to the first day the crown was put on. When your crown has cracks, the water goes right through those cracks. 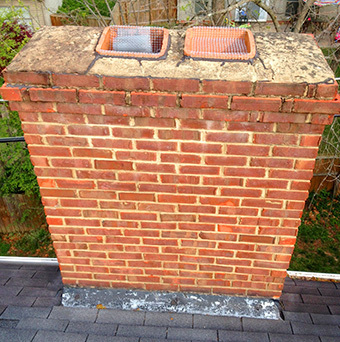 Spalled bricks and damaged mortar joints leave gaps and openings for water to penetrate the chimney. 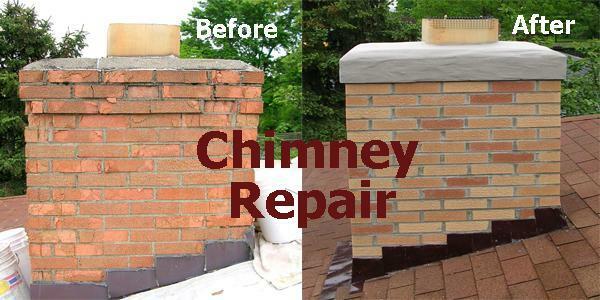 Sometimes a chimney can be tuck pointed if the bricks haven't shifted and the integrity of the brick is still intact. 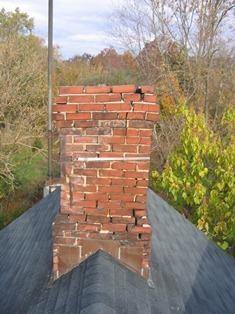 The above chimney would be recommended to be rebuilt not tuck pointed. Chimneys without a flue cap allow water straight down the chimney. 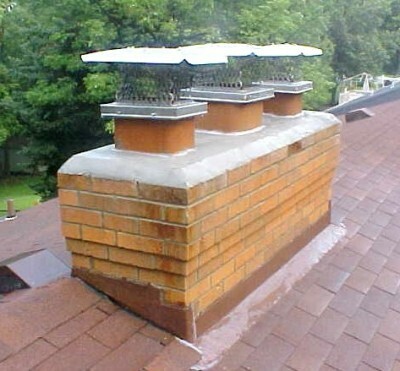 A flue cap eliminates a few issues: rain, animals, birds, and debris from entering the chimney. All of these issues can lead to not only water damage, but cause a blockage to a flue which leads to utilities (hot water tank and furnaces) becoming inoperable. Also, once a flue becomes blocked CO2 can enter in the house causing CO2 poisoning.